Having a business can be one of the most thrilling things there is. Those familiar with my story know that I started my first business when I was 15, providing web hosting for websites. Back then, hosting was pretty easy and cheap to get into. In fact, the most difficult part of starting the business was convincing my mom to let me use her social security number to open a merchant account to charge credit cards, but once I cleared that hurdle I was in business. What began as a curiosity soon grew into a full-time obsession: when I was at school, all I wanted was to be back home working on my business. In Middle School, I walked around with a Palm Pilot, convincing my teachers to let me use it by also using it to keep track of homework (touchscreen phones weren’t as prevalent back in the 2000’s) Mostly though, used it to respond to my client’s support tickets, while directing my first hire from India on how to solve issues that came up. I was not the only person with this strategy, which led to pricing wars. In a similar way that airlines oversell airline tickets, anticipating some no-shows, some companies began overselling disk space and bandwidth on their server, in an attempt to get a profit edge. I fought this price war by always lowering my cheapest offer to be a few dollars less than my closest competitor. On days like Black Friday, year by year I’d start to offer bigger and bigger discounts so I could stay ahead of the other hosting companies. Over time, I started to burn out and feel drained of all my energy. I’d binge-eat everything in sight and neglect my business. I just couldn’t get myself to answer the phone or respond to new support inquiries. Partly this was simply from dealing with more and more customers. The types of customers I had unknowingly entered relationships with was also very draining. A more common occurrence was phone calls from clients who wanted to cancel their service because their website went down (whether due to hardware failure or one of the websites on the server getting a DDOS attack). It really didn’t matter to my clients what caused their site to go down, they just wanted it back up. In the hosting market, it’s really hard to be competitive, so I chose to compete by offering better prices than the other guy—after all, what could go wrong? It started by offering 50% off deals on Black Friday, however, as the market became more competitive I started offering it more times throughout the year. While I started to get more sales, I didn’t realize that my cheaper pricing was attracting the wrong type of customer. They wanted cheaper pricing and just expected everything to work, no matter what they expected me to host for them. One guy paid $120 for 3-years of hosting and expected me to store 500gb worth of videos, whereas another person who paid $70 for 2 years of hosting said his website was losing thousands of dollars every minute his website was down. As somebody who managed over 100 servers and thousands of websites on them, my uptime wasn’t Rackspace level Amazing, but it was still pretty decent. 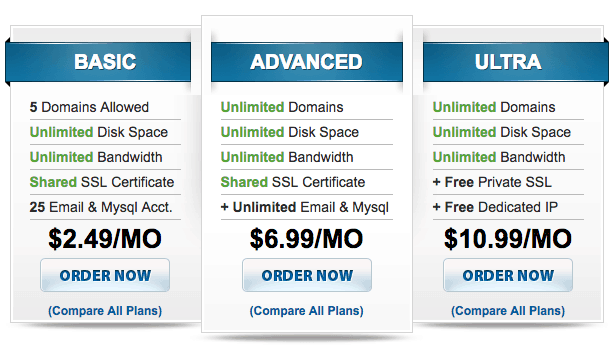 However, you can’t expect Rackspace level service when you’re paying a few dollars a month for hosting. Regardless, I was able to grow the company to service over 10,000 customers over just a few years, but this rapid growth required a significant increase in my overhead support costs. It started with just a few agents in India, but over-time ballooned into a team of 40 agents providing my customers with 24/7 support. I ended up even creating a separate company called SupportMonk where I re-sold their expertise to other hosting providers. Something wasn’t right though, my profit margin wasn’t where it should’ve been and I was dealing with customers who expected me to offer them the world on a shoestring budget. I eventually ended up selling the business for a pretty respectable amount, but that was because I couldn’t change the niche I had established myself in, which was in the “low-budget hosting” category. Dealing with the types of customers I had attracted became too stressful for me to keep dealing with. Despite having a successful exit, it didn’t feel like a win at the time. One day, captain hindsight came to the rescue and gave me insight on a principle I had lacked before. You always seem to find the key information you need after you needed it. In this case, about a year after selling my company, I came across something called the Pareto Principle, named after Vilfredo Pareto, a 19th-century economist who was fascinated with mathematics. Pareto discovered that there exists an unequal relationship between inputs and outputs. He did a wealth and population survey in Italy and discovered that 80% of Italy’s land was owned by 20% of the population. Similarly, he observed that 80% of the land in Italy was owned by just 20% of the population. Much to his dismay, he discovered similar levels of inequality in other countries too. Mathematically, it’s what’s called a power law distribution and many areas of life, science and business seem to exhibit the Pareto distribution in particular. Today, it’s become an axiom seen in many applications from software, sports, healthy and much more. For example, if you’re learning a new language, you only need to know about 10,000 words to be fluent, and there are about 170,000 words in the English language, so effectively just knowing about 17% of the most commonly used words will net you the highest return on your investment. Furthermore, Microsoft noted that by fixing the top 20% of the most reported bugs, they’d end up resolving 80% of the errors and crashes seen in their systems. Similarly, looking back at my own business, I realized that out of all my hosting plans, most of my customers chose the cheapest plan I had to offer. Furthermore, I didn’t stop to question who was my support agents spending most of their time answering chats and emails for? It turns out that most of their time was allocated towards the customers paying me less money and the customers with the most expensive plans rarely used my support service. This means I was losing a considerable amount of money in the lower half of my client pool. I had initially hoped that the value of having more clients would trump losing money for a bottom few, but after further analysis, I discovered there was no net gain for the vast majority of these clients. In other words, nearly 80% of my revenue was being generated by 20% of my clients. In economics, there is the law of diminishing returns which states that the more time, effort and money you invest into something, you’ll eventually receive less output for your input. Not only was the 80% not responsible for most of my profits, they were responsible for most of my support tickets, and thus the largest drain on my time, money and resources. The overhead to maintain such a large pool of clients who demanded cheaper and cheaper hosting made it difficult to maintain a standard of quality. The problem though is that once you build a business around a certain expectation, you can’t significantly alter or change that aspect of your business without damaging your business. This is especially true for pricing schemes. The new CEO of JCPenny learned this the hard way in 2011 when he decided to replace the never-ending sales in the store with every day low prices. This strategy tanked the company, and they had to revert back to higher prices and year-round coupons instead. It's fine to celebrate success but it is more important to heed the lessons of failure. -- Bill Gates. I resolved not to make the same mistake going forth, and many years later I’m humbled to have founded a hugely successful company that now employs over 500 people. The biggest difference between my current company and the one I started when I was 15 is I decided to focus on quality and innovation, which meant I wasn’t going to compete against others on price. My sales team doesn’t do price matching, because we know the value of our service, and I’ve learned that it’s best not to be a bottom feeder. The 80 / 20 principle is useful way beyond just business. I’ve been able to apply it to multiple facets of my life by asking myself the right questions. After years of being busy and not effective, I started to ask myself, out of all the tasks on my agenda, which ones will directly result in making money or achieving my current goal? In other words, focus on the things in life that provide you with the highest Return On Investment and throw out the rest. We only have so much time in the day, so when you build your strategy amongst optimizing for that top 20%, you’ll reap a heck of a lot more than you sow.